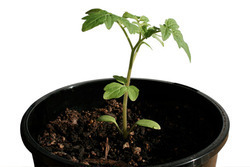 We are a top notch supplier of Tomato Seedling. 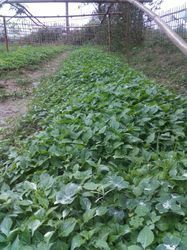 Vegetables hardened plant for commercial cultivation. With end to end technical backup. We are actively engaged in offering a qualitative range of Vegetable Seedling for catering the diversified requirements of our clients. To retain our goodwill in clients' consideration, we are offering an optimum quality Hybrid Chilli Seedling. Being a quality-oriented firm, we are occupied in offering vegetable Plant. Our provided product is inspected on many quality parameters to make sure its quality. These varieties are handpicked based on the experience gathered from farmers growing vegetables at diverse locations, in different seasons under varied climatic conditions. These seedlings are supplied across vast vegetable growing region in the Western Maharashtra. We are also immersed in offering a broad gamut of Brinjal Seedlings to our patrons. We offer this at market leading rates. With our years of experience & in depth knowledge in this field, we are engaged in offering a quality-assured array of Organic Vegetable Seedlings. We are amongst the most reputed names in the industry, offering Brinjal Seedlings. Owing to our vast industrial experience in this domain, we are engaged in offering an enormous quality range of Vegetable Seedling to our clients. This Vegetable Seedling is easy to plant with proper methods and directions. Apart from this, these products are known to produce good yield crops and are low in prices. Agar plants available here. Interested buyer's can make a direct call-09678757461..
As per the changing needs and desires of our customers, we are offering a distinctive and rich in quality compilation of Cauliflower Seedlings. Highly acknowledged in the market, these are widely cherished owing to their precise nature. In addition to this, we offer these in a range of sizes to select as per the needs of our customers.